ICAN will be hosting a free education program, Happy 5, consisting of 6 sessions (check flyer for dates and times), geared towards parents who are worried about raising their children with two different cultures. Throughout the duration of this program we will cover childcare issues including discipline, diet, speech, social-emotional development, and more. Seats are limited so so reserve your spot as soon as possible! Give your children a head start and join our program! 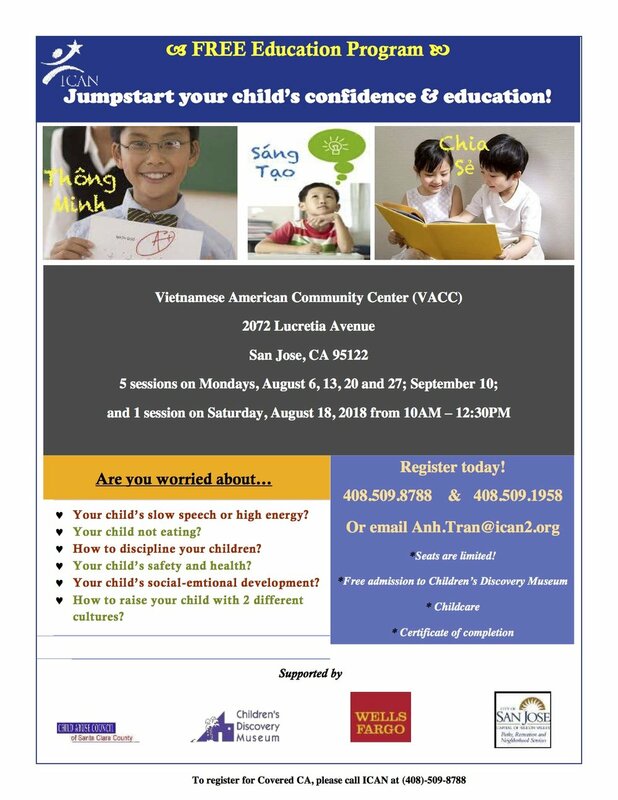 Please contact Hope Nguyen at 408-508-1958 or 408-509-8788 to register.